Jojo Moyes is the #1 New York Times bestselling author of Still Me, After You, Me Before You, One Plus One, The Girl You Left Behind, The Last Letter from Your Lover, Silver Bay, and The Ship of Brides. She lives with her husband and three children in Essex, England. "Jojo Moyes expertly weaves a bittersweet tale in this irresistible novel, taking careful interest in the dark corners that exist within great love stories, and the trickiness of simple happy endings. A-"
"Jojo Moyes builds on her strengths in this moving and accomplished new novel. As she did in the best-selling Me Before You, she asks readers to think in fresh ways about a morally complex issue. . . . The Girl You Left Behind is strong, provocative, satisfying fiction. "'In this moving paean to daring, determination and perspicacity, Moyes keeps the reader guessing down to the last hankie." "In her latest heart tugger, Jojo Moyes deftly weaves the story of newlyweds in WWI France with that of a young widow in today’s London." "Lovely and wry, Moyes’s newest is captivating and bittersweet." "Moyes (Me Before You) has created a riveting depiction of a wartime occupation that has mostly faded from memory. Liv and Sophie are so real in their faults, passion, and bravery that the reader is swept along right to the end. This one is hard to put down!" 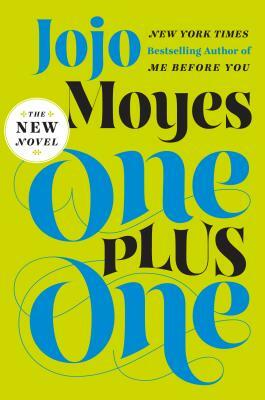 "Moyes (Me Before You, 2012) writes with such clarity that one can almost see the eponymous 100-year-old painting at the center of her wonderful new novel. . . . an uncommonly good love story."